Soft velvety powder to create beautiful contoured brows. 5 colour palette includes a mirror and an angular brush. 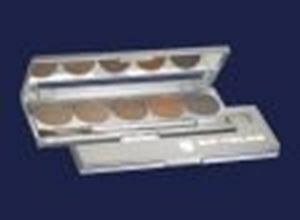 Best applied with a natural hair brush evenly onto the brows. Product can be applied wet or dry if desired. The five colours comprising the palette are shown below.